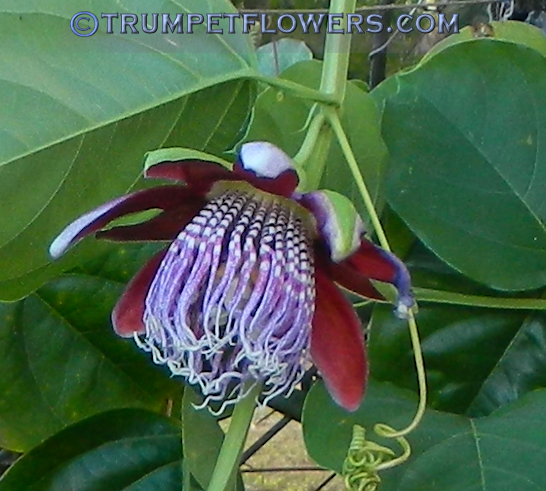 Looking right into the almost open bloom of passiflora decaiseanna. 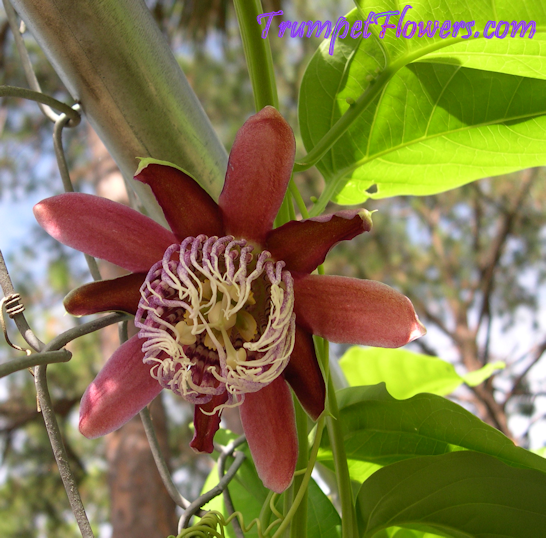 Passiflora decaiseanna needs another passionflower species or cultivar to pollinate the bloom and set fruit. 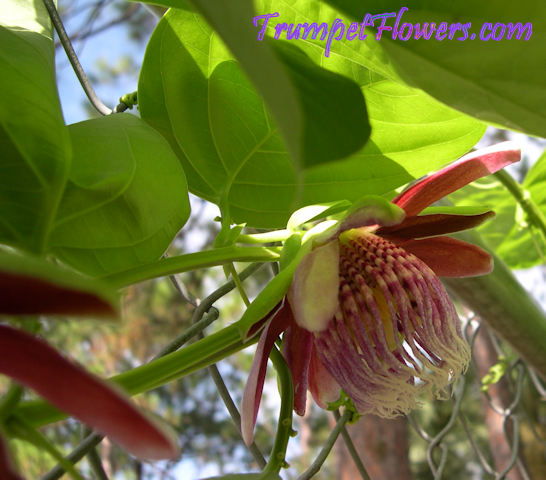 Passiflora decaiseanna is related to p. granadilla, said to be one of the tastiest of all the passion fruits. 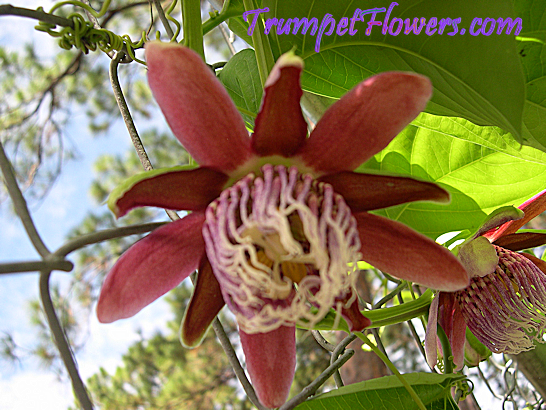 Passiflora decaiseanna will pollinate with p. seemannii and p. gabrielliana. 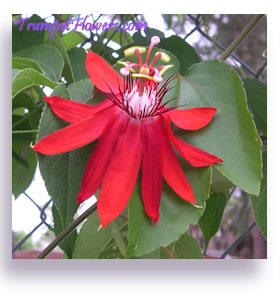 Passiflora decaiseanna is a large flower, about 4 inches across. 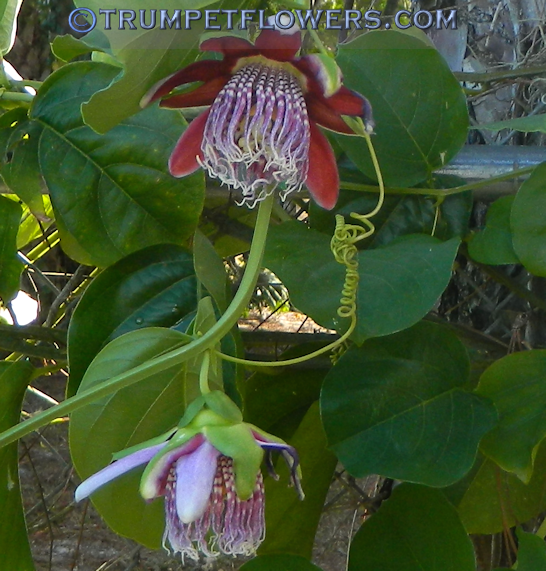 Passionflower decaiseanna also has large fruit, if the flower has been pollinated. 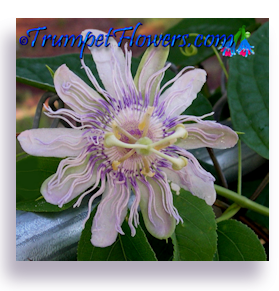 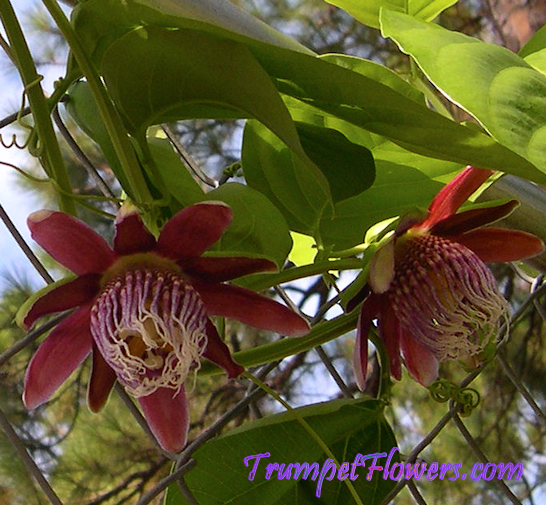 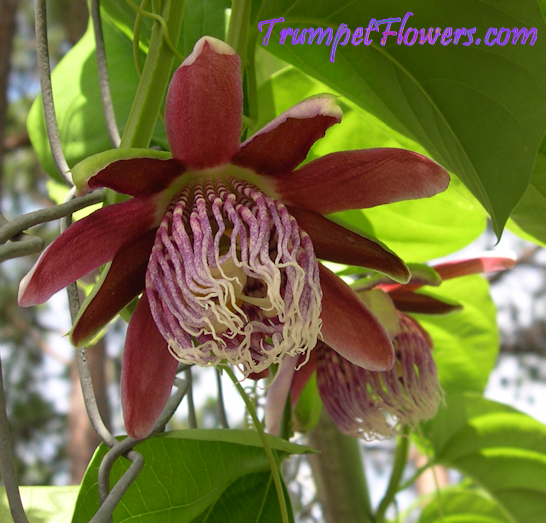 Passion flower decaiseanna has thick petals and long corona filaments. 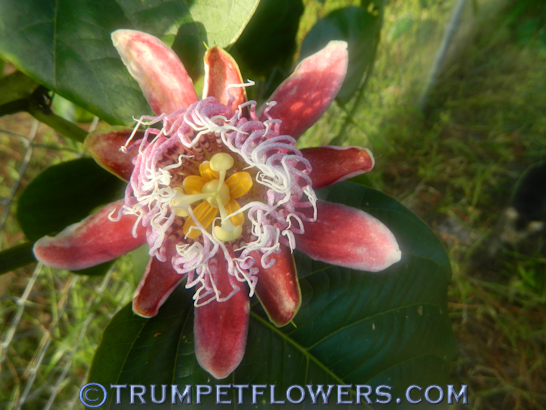 A single bloom in early November. 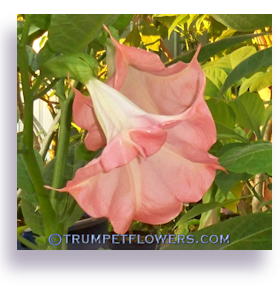 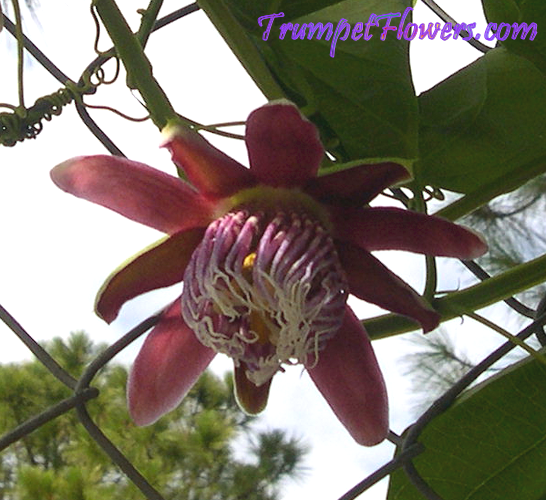 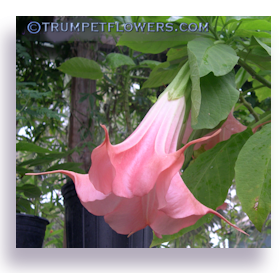 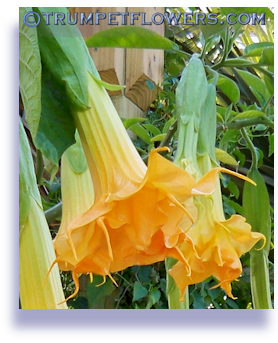 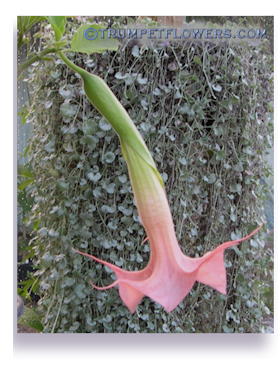 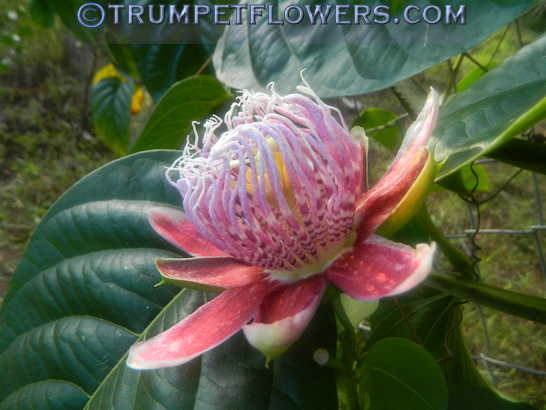 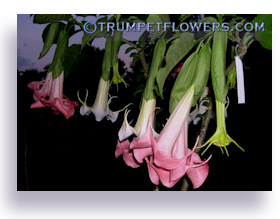 This entry was posted on January 30th, 2012 and is filed under Passiflora Gallery.